Okay, okay I know I was supposed to go out and pick up a new shade of crimson, one I haven’t tried before but I couldn’t bring myself to do it. 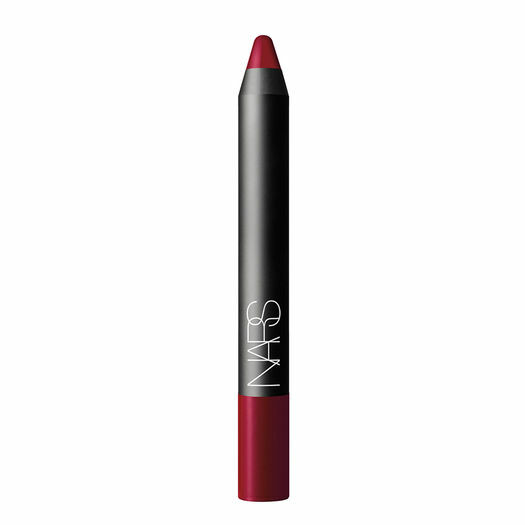 I’m just a huge fan of Nars and their Velvet Matte Lip Pencils, it’s almost an addiction since I leave near the Mac boutique too, and never go inside. I had to pick up Mysterious Red and I’ve been wearing it everyday since. Occasionally with Jungle Red as it gives it a different feel. What do you think? can anyone recommend a good matte for me to check out? So cool, thank you! I’m wearing it today too, but I layered it with Dragon Girl….